In Outlander's upcoming fifth episode, “Freedom & Whisky,” Roger flies from Scotland to Boston to bring news to Claire and Brianna about where Jamie Fraser might be located back in 18th century Scotland. Roger (Richard Rankin) also seems to arrive in America around Christmas time and spends the holiday with his love Brianna (Sophie Skelton). Claire (Caitriona Balfe) and Brianna find it hard returning to their lives in Boston after searching for evidence of Jamie's existence in Scotland. Harvard, Frank's (Tobias Menzies) place of work, plays a larger role in this episode. After their romantic kiss in Scotland, Brianna and Roger, can't deny their feelings for each other any longer! Claire returns to the hospital to keep her mind busy and becomes a top-notch surgeon. But she can never forget the love of her life, Jamie, even after 20 years apart. Like she told Frank when he wanted her to just get over him, "That amount of time doesn't exist." Outlander is almost half way through its third season and still Jamie and Claire not yet reunited. Fans know it's coming soon and Sunday's all new episode provides more clues about when they'll finally be together again because true love never dies. 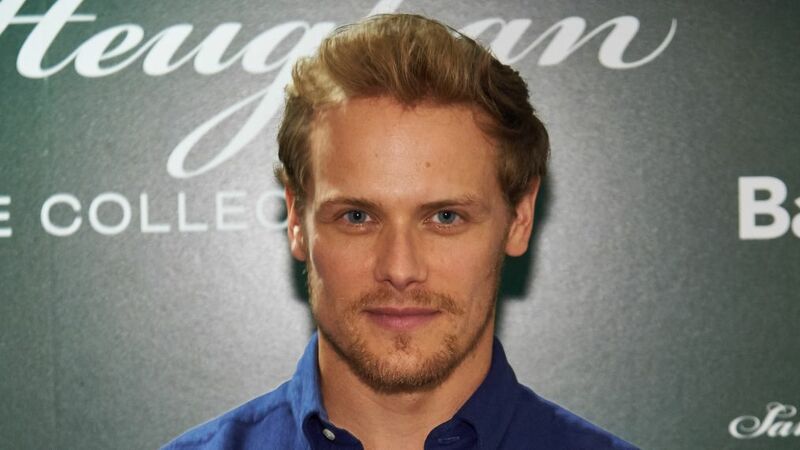 Plus, the Scottish actor gives us a sneak peek at his latest venture: the Sam Heughan Signature Collection with U.K. brand Barbour.